Medical thrillers are all the rage again and I have a weakness for them. 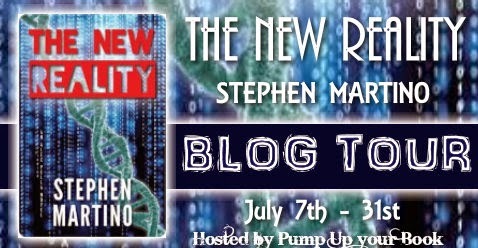 Today's guest is from Stephen Martino, celebrating the release of his thriller "The New Reality", which mixes medicine with current events. Stephen holds an M.D. from the University of Pennsylvania and is a neurologist in New Jersey. When he is not working, he can be found with his five children doing homework or cheering them on at a soccer field, basketball court, or dance recital. 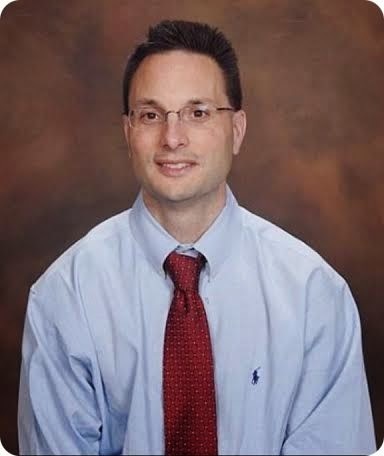 Martino is a member of the Knights of Columbus, a Cub Scout den leader and is an active public speaker, helping to educate the local community and healthcare professionals on the signs, symptoms and treatment of stroke. THE NEW REALITY is his first novel. When I sat down to write "The New Reality", I wanted to do more than just entertain the reader. With 5 kids at home, I really wanted to create a book that highlighted certain pressing, contemporary issues that impacted not only my generation but also generations to come. Just like in "Jurassic Park", Michael Crichton warned of the possible dangers of playing God with genetics. Though the novel was a fantastic read, it made you really think about the underlying message that was within it. Taking the lead from the masters such as Michael Crichton, Dan Brown, and David Morrell, I attempted to set out and create a novel that tackled some problems that threaten the stability of our planet. 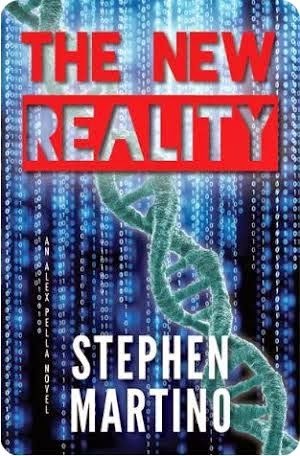 High concept ideas such as the possibility of viral pandemics similar to the MERS virus, our crumbling medical system, out of control debt spending, and the increase in foreign affairs problems are some of the main issues accentuated in "The New Reality". Though basing my novel upon these concepts, I certainly did not dwell on them. To do so would mean a boring novel. Instead, they serve as a backdrop for a much more exciting story about a man-made virus that accidently gets loose and threatens the existence of all mankind. The main character of "The New Reality" is Alex Pella. The man is a high tech genius who owns his own Neuro-Tek company. Though consumed by his work, Alex is also a thrill seeker always on the lookout for the next best challenge. And he certainly gets this challenge when he is called upon by the man by the name of Jonathan Maloney. Now Jonathan, by nature, is a scholar who has been studying what is known as the Bible Code for most of his life. And what he has determined from this code is that he has to find Alex and somehow use the code to discover the cure for the disease. Trying to stop Alex and his colleagues from finding this cure is a fascist megalomaniac by the name Ari Lesmana who wants the cure all for himself. And if it means killing Alex and condemning humanity to extinction, then so be it. During the journey to find the cure, Alex finds himself enamored with one of his companions on the trip by the name of Marissa Ambrosia. In the novel, I pen her to be this intelligent, beautiful young woman with features strikingly similar to my wife. In order to gain favor with my wife and create some love tension during the novel, I incorporated this subplot into the story. Overall, writing The New Reality proved both refreshing and rewarding. It not only let me address some pertinent issues of the day but it also let my imagination just run wild. I really hope everyone who reads it enjoys it as much as I did in writing it. * affiliate link; the blog receives a small commission from purchases made through this link. Thank you for having me on your web site. It is an honor.